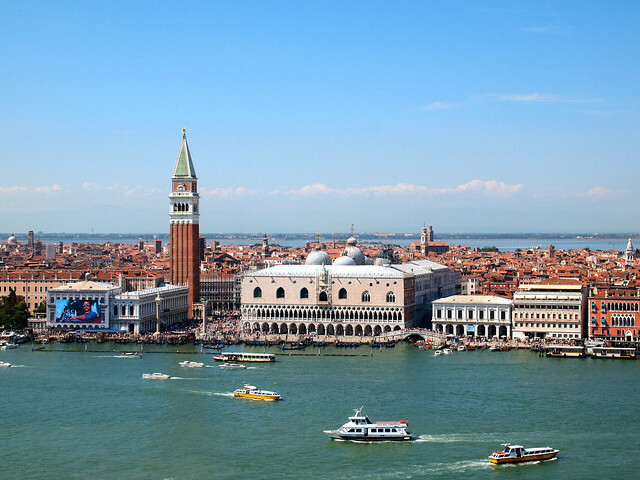 The city of Venice is actually a big island — or a collection of lots of islands, separated by canals and connected by hundreds of bridges, depending on how you want to look at it. But Venice is not the only island in the Venetian Lagoon. The Venetian Lagoon covers more than 200 square miles and is dotted with tons of small islands — some not big enough to hold a house, while others are home to large communities. Venice is the largest island in the Lagoon, with a population of around 50,000 (and a tourist population closing in on 70,000 per day). But it's not the only island worth visiting. While you might be tempted to spend your whole visit in Venice getting caught up in its twisty streets and narrow canals, do yourself a favor and visit some of the other islands in the Lagoon, too. You can start out close. 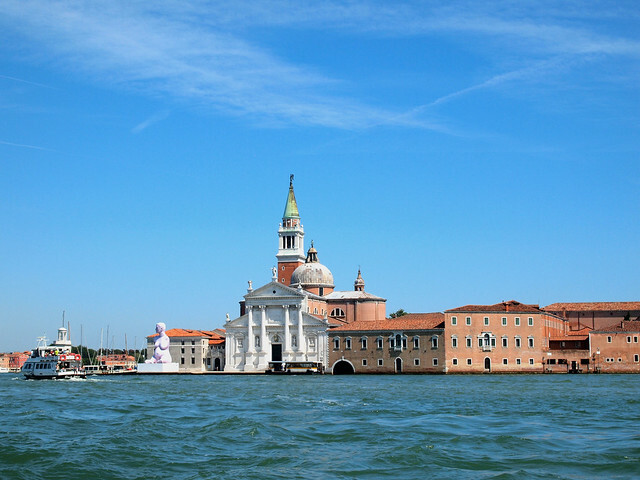 Take a ferry or water taxi over to San Giorgio Maggiore, just south of the city. The tiny island has been home to a monastery since the year 982, and the current church dates back to about 1600. 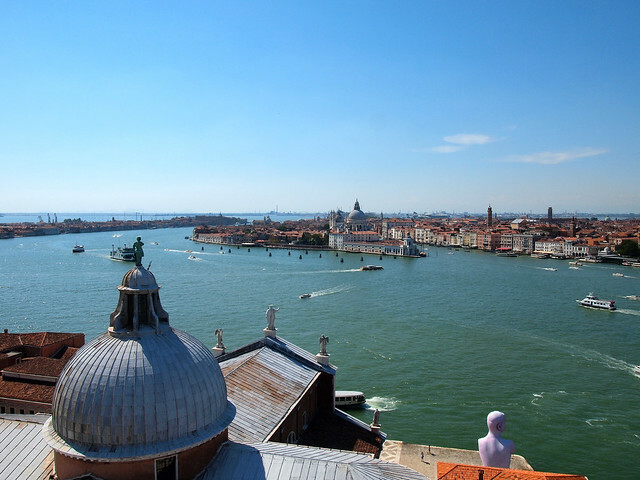 The attached bell tower (rebuilt in 1791 after the original fell) offers up great views over Venice — and you don't even have to climb steps to see them! Next head out to Murano, which is renowned for its glassblowing. In the 13th century, all of the glassblowers were driven out of Venice to Murano due to a fear of the city catching fire; they have never left, and now their craft is what brings people to this little island. The coveted art here includes lamps and jewelry, and you can easily spend a whole afternoon wandering in and out of shops and workshops. 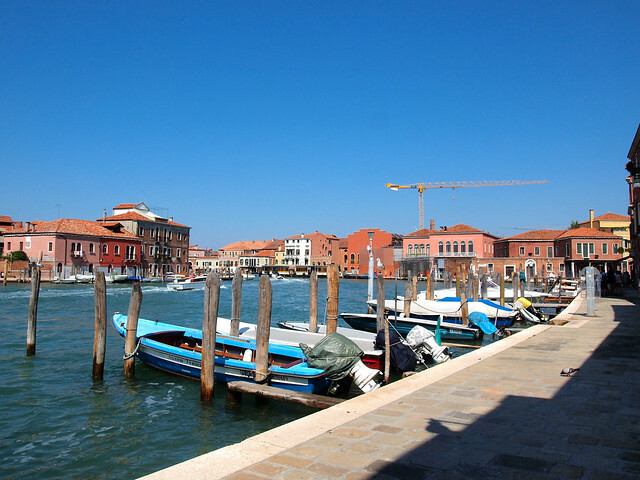 Architecturally, Murano isn't much different from the main island of Venice. But it's not nearly as crowded, and you can pick up some really great (and unique) gifts here. Just be sure that the glass you are buying was actually blown on Murano! With only a few main streets and canals, Burano is a great place to roam around, gelato in hand, simply appreciating the life that this little island exudes. You won't find any neighboring homes here painted the same color, or even the same hue. 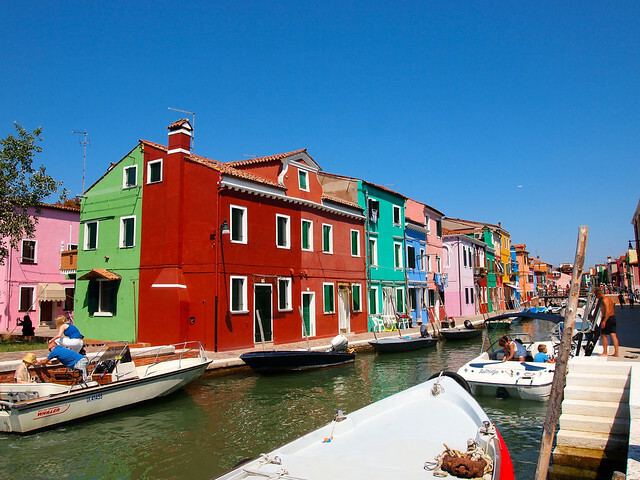 There are strict rules on Burano, and homeowners have to appeal to the government when they want to repaint — and then they are told which colors they can choose from. It makes for a rainbow of a town. 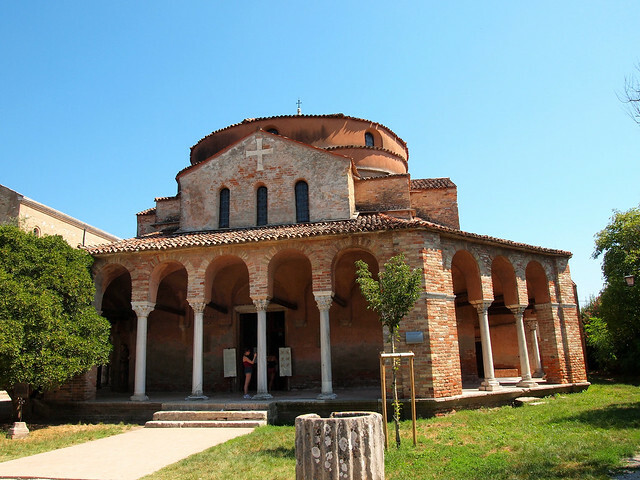 Lastly, I'll recommend the island of Torcello. Torcello has had an interesting history — Venetians fled to the island during the barbarian invasions, and the island at one point was more powerful (and more populated) than any other in the Lagoon. 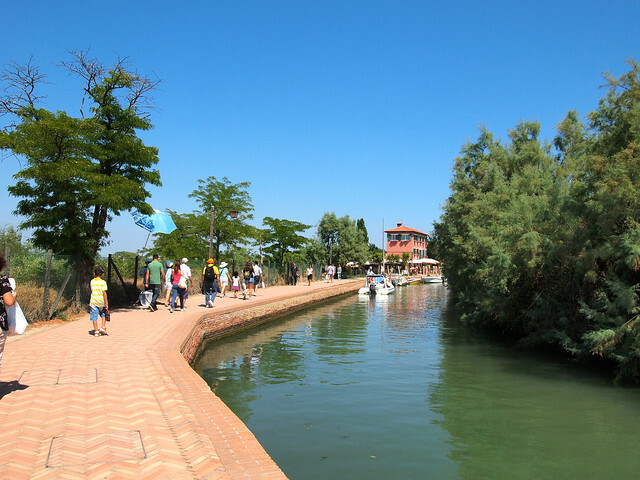 Today, though, Torcello is one of the quietest islands, with only about a dozen permanent residents. People visit these days to stroll along the long canal, and admire the Byzantine mosaics in the Cathedral of Santa Maria Dell'Assunta. It makes a nice last stop on a Venetian island tour, since it's so green and peaceful. There are dozens of other islands in the Lagoon, too — many of which would also make a great escape from the bustling canals and streets of Venice. Just make sure you take the time to visit at least one. 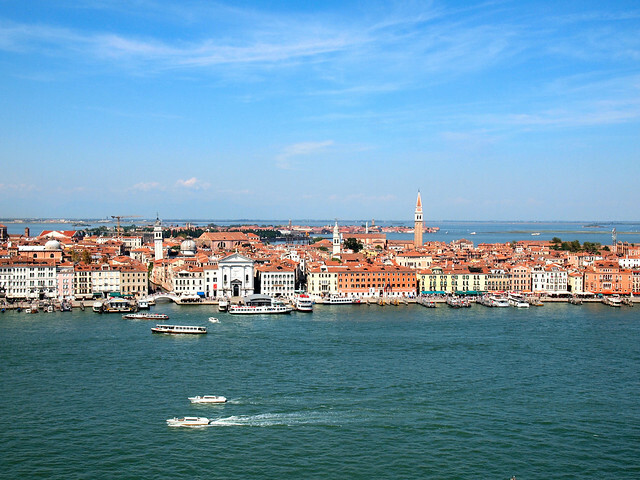 Because, as this post's title says, Venice isn't the only island in the Venetian Lagoon. I saw these islands on a couple different tours in Venice. One (San Giorgio Maggiore) was on a tour with Walks of Italy. The others (Murano, Burano, and Torcello) were seen on a day trip with Viator from Venice. Which island would YOU most want to visit? The Isle of Lewis and Harris: Scotland's Best-Kept Secret? 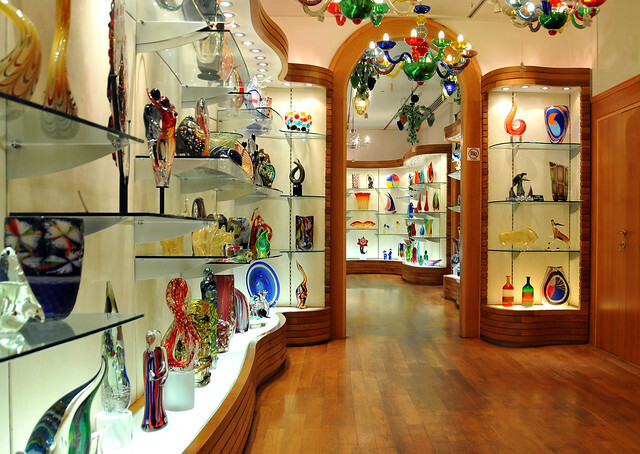 I would choose Murano for the glass blowing. I grew up a few hours from Corning, NY, which is famous for its glass blowing as well. I just love seeing the finished products. I know! The finished products are so beautiful, and watching them shape a blob of glass into art is fascinating. I like that first picture of Burano with the clothes hanging out to dry. About San Giorgio: I can’t believe I’ve lived for a few years in Venice now and I’ve never been there! I can’t believe you haven’t either! Get on a ferry over there ASAP! The view from the bell tower is really great. Great list and wonderful pictures! Of the four islands you mentioned, I enjoyed Burano the most. The colors are wonderful, aren’t they? 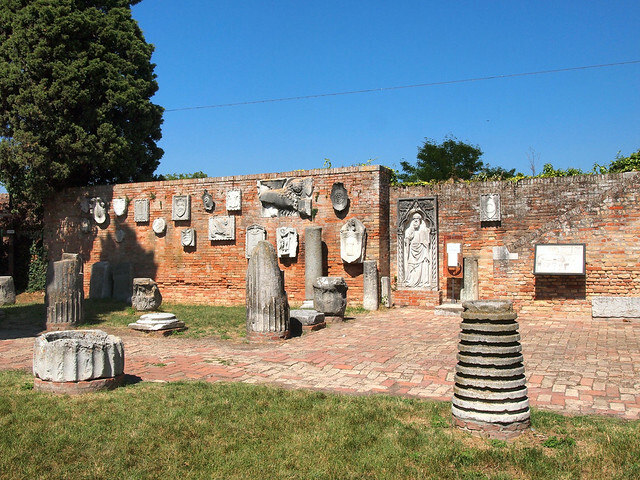 Torcello was also really interesting. I was sad I never got around to going to San Michele, the cemetery island. Maybe someday! Burano was my favorite, too! I took SO many photos there. The cemetery island would be really interesting to visit, too! Wow their houses are so colourful! I know, right?? I’ve never been anywhere like it. Maybe just because I was born on the hillside, I’ve always preferred the northern ancient cities surrounded by canals. Amsterdam, which is called ‘the northern Venice’ as well is my favorite. But I have to admit it, those beautiful islands around Venice are truly beautiful (I’ve spent 2 semesters in Venice at the Architectural Academy, and I return every year for the biennale, I always can find something beautiful while walking on the small streets.) 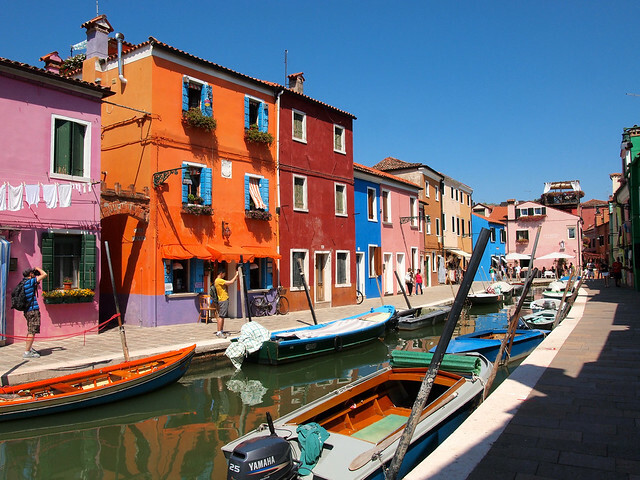 And I totally agree, Burano has been my favorite since my first visit, it’s such a romantic place to be! So many places are compared to Venice (Brugges is, too, because of its canals), but I really don’t think there’s another city like it! Those blown glass decorations look beautiful! I would love to visit there to see them. Although I bet they’re pretty expensive! Some are definitely more expensive than others. I got some jewelry that wasn’t too too pricey, though. The glass decorations look great! The pictures look nice. I definitely wouldn’t mind living there! Not sure I could live on any of these islands, to be honest, since they are so small. But they are definitely great places to visit! 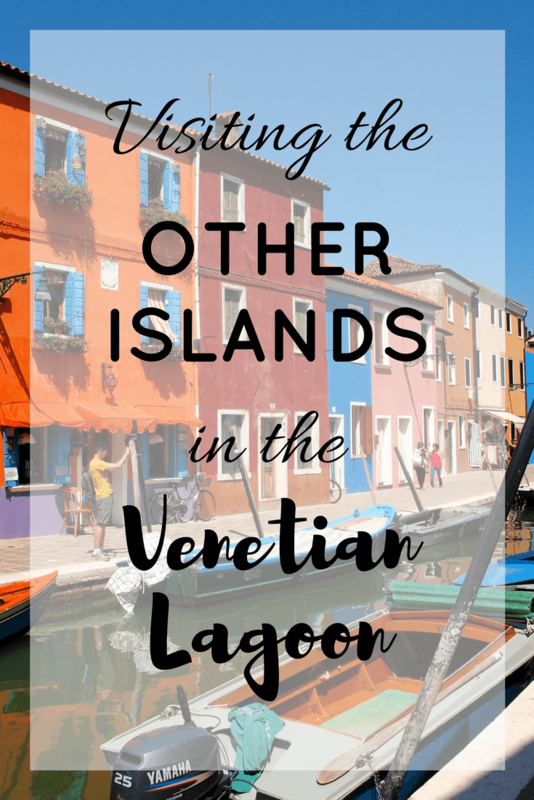 Well if you’re going to Venice, be sure to add the islands to your list, too! Nice! I loved Murano (apart from accidentally knocking over some glass pieces and having to ‘buy’ them. )I didn’t get a chance to make it to Burano and I wish I had. It looks beautiful. Love all the colours! My most favourite island would be Murano that has an eight century old glassmaking tradition. Glass items in many unbelievable shapes can be found here. Necklaces having Murano glass beads are very popular. Burano is my next favourite island to visit. Great post and photos, Amanda! I didn’t get to spend nearly enough time on Murano, but it definitely was cool to visit some glass shops! Might be worth a mention on your site. Hi Amanda! You took extraordinary pictures!!! I went several times to Murano and I became an expert of murano glass considering how many pieces I bought together with my wife!! However, I never had change of going to Burano. Your colorful pictures made me fall in love with it. I hope to go there very soon :)! Thanks very much! 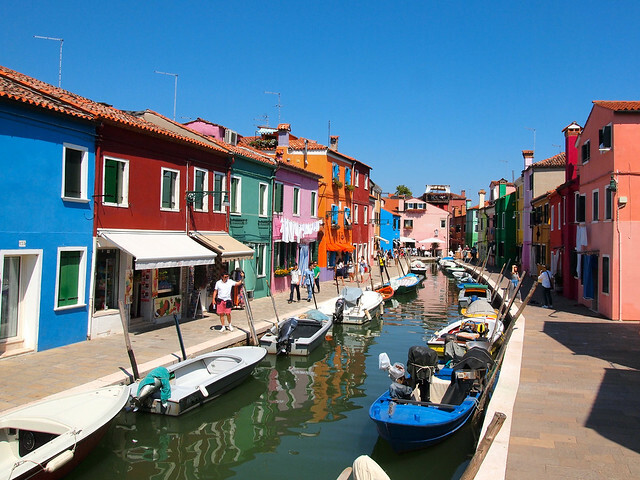 And yes, definitely get to Burano next time – such a unique place! Thanks Amanda for your post. I am almost addicted to buy Murano glass and this passion lead me several times to Murano. It is my most favorite island apart from Venice. If somebody is going there I definitely suggest not only to visit furnaces as you said but also the glass museum (in the center of the island close to Navagero) where they really explain the history of Murano glass. For me it was very interesting! We the isles off season. So quiet and beautiful. But even in Venice itself it is often much less crowded once you leave the main route and head off in a side street. You may even get lost. How romantic is that! Thanks Amanda for sharing your experience. I have been in Murano several times and every time I discovered something new. So far, I manged to visit 4 different furnaces, amazing! I take your advise to visit Burano that looks beautiful in your pictures and perhaps it is not as famous as it should deserve! I was there last year in summer time, perhaps I would also suggest to consider going to Lido island. It is the place where all Venetian go to the beach. It is not as nice as Burano, Murano and Torcello but it is definitely worth if you want to go swimming! I’ve been in Venice once and I felt in love with its beautiful little islands like Murano. 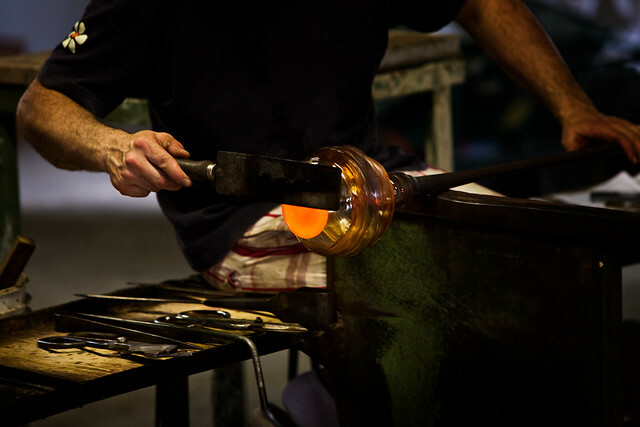 I remember seeing original Murano glass making live and it’s been an unforgettable experience. Just planning another holiday in Venice and I’m gonna visit Burano too. Both of those islands are definitely worth visiting!